copyto(dst, src[, casting, where, preservena]) Copies values from one array to another, broadcasting as necessary. reshape(a, newshape[, order]) Gives a new shape to an array without changing its data. ravel(a[, order]) Return a flattened array. ndarray.flat A 1-D iterator over the array. ndarray.flatten([order]) Return a copy of the array collapsed into one dimension. rollaxis(a, axis[, start]) Roll the specified axis backwards, until it lies in a given position. swapaxes(a, axis1, axis2) Interchange two axes of an array. ndarray.T Same as self.transpose(), except that self is returned if self.ndim < 2.
transpose(a[, axes]) Permute the dimensions of an array. atleast_1d(*arys) Convert inputs to arrays with at least one dimension. atleast_2d(*arys) View inputs as arrays with at least two dimensions. atleast_3d(*arys) View inputs as arrays with at least three dimensions. broadcast Produce an object that mimics broadcasting. broadcast_arrays(*args) Broadcast any number of arrays against each other. expand_dims(a, axis) Expand the shape of an array. squeeze(a[, axis]) Remove single-dimensional entries from the shape of an array. asarray(a[, dtype, order]) Convert the input to an array. asanyarray(a[, dtype, order]) Convert the input to an ndarray, but pass ndarray subclasses through. asmatrix(data[, dtype]) Interpret the input as a matrix. asfarray(a[, dtype]) Return an array converted to a float type. asfortranarray(a[, dtype]) Return an array laid out in Fortran order in memory. asscalar(a) Convert an array of size 1 to its scalar equivalent. require(a[, dtype, requirements]) Return an ndarray of the provided type that satisfies requirements. column_stack(tup) Stack 1-D arrays as columns into a 2-D array. concatenate((a1, a2, ...)[, axis]) Join a sequence of arrays together. dstack(tup) Stack arrays in sequence depth wise (along third axis). hstack(tup) Stack arrays in sequence horizontally (column wise). vstack(tup) Stack arrays in sequence vertically (row wise). array_split(ary, indices_or_sections[, axis]) Split an array into multiple sub-arrays. dsplit(ary, indices_or_sections) Split array into multiple sub-arrays along the 3rd axis (depth). hsplit(ary, indices_or_sections) Split an array into multiple sub-arrays horizontally (column-wise). split(ary, indices_or_sections[, axis]) Split an array into multiple sub-arrays. vsplit(ary, indices_or_sections) Split an array into multiple sub-arrays vertically (row-wise). tile(A, reps) Construct an array by repeating A the number of times given by reps.
repeat(a, repeats[, axis]) Repeat elements of an array. delete(arr, obj[, axis]) Return a new array with sub-arrays along an axis deleted. insert(arr, obj, values[, axis]) Insert values along the given axis before the given indices. append(arr, values[, axis]) Append values to the end of an array. resize(a, new_shape) Return a new array with the specified shape. trim_zeros(filt[, trim]) Trim the leading and/or trailing zeros from a 1-D array or sequence. unique(ar[, return_index, return_inverse]) Find the unique elements of an array. fliplr(m) Flip array in the left/right direction. flipud(m) Flip array in the up/down direction. roll(a, shift[, axis]) Roll array elements along a given axis. rot90(m[, k]) Rotate an array by 90 degrees in the counter-clockwise direction. 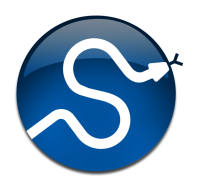 © Copyright 2008-2009, The Scipy community. Last updated on Feb 12, 2013. Created using Sphinx 1.1.3.